Mulching is a quick, simple task that has a powerful impact on your garden. 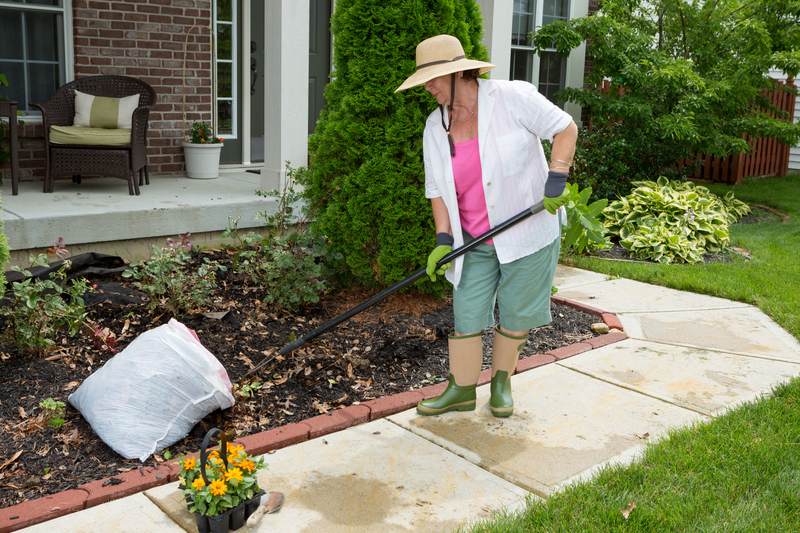 Mulch — which may contain wood chips, bark, straw, cocoa bean, pebbles, and other materials — serves as an invaluable protective barrier for your plants. If you haven’t already mulched your garden this season, here are three reasons to do so. Weeds are the bane of many gardeners. While mulch cannot prevent them entirely, it will significantly curb their growth by blocking their access to sunlight and water. A strategically placed two-to-three-inch layer prevents weeds from receiving vital nutrients and will instead conserve them for your plants. Mulches that contain wood like cedar, cypress, or pinewood also help repel fleas and ticks. Organic mulches that contain materials like pine needles, grass clippings, leaves, straw, bark, wood, or manure help retain moisture in the soil. Rather than allowing water to quickly seep beneath your plants’ reach, mulch helps roots absorb as much as possible. Not only can this help foster verdant, thriving plants, but it can also help curb your water expenditures. Organic mulch contains vital nutrients that intermix with existing soil to nourish your plants. As the mulch decomposes into the soil, the plants receive a nutrient boost. The mulch layer also prevents the rain from washing away minerals from within the soil. Mulch will also encourage earthworms to habitat your garden, which improves soil structure and creates natural fertilizers. The type of mulch you select relies heavily on the soil type, the amount of sunlight, and the type of plants in your garden. For the assistance you need to select and distribute the perfect variety, consult the experienced horticulturists from Evergreen Landscape Management in Scottsville, NY. The landscapers would be pleased to help you breathe new life into your outdoor space. In addition to mulching, the team also offers bed edging, weeding, and pruning services. To learn more about the landscape design and yard maintenance business, visit the website or call today at (585) 889-9300. Do Hardscaping Pavers Require Sealing? When is the Best Time to Trim Trees and Shrubs?